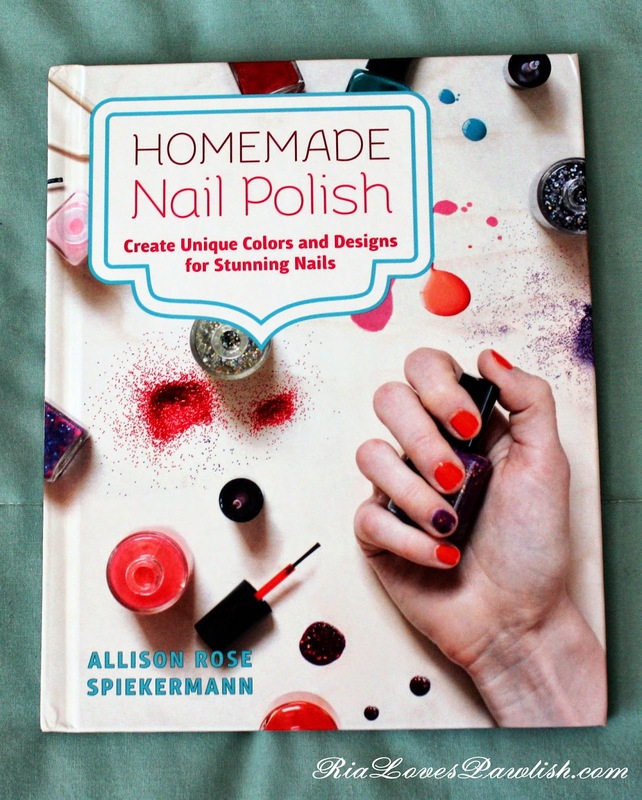 today's book is Homemade Nail Polish by Allison Rose Spiekermann (it's a press sample, kindly provided to me for review!). 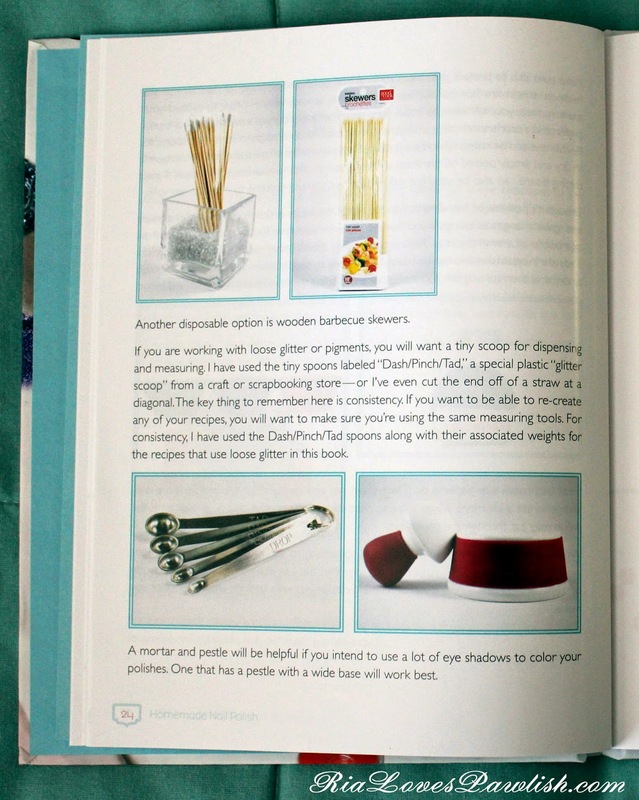 this book has all the info you'll need to make your own custom colors... even different finishes! the book is super easy to follow and the pictures also help to make everything clear and easy to understand. 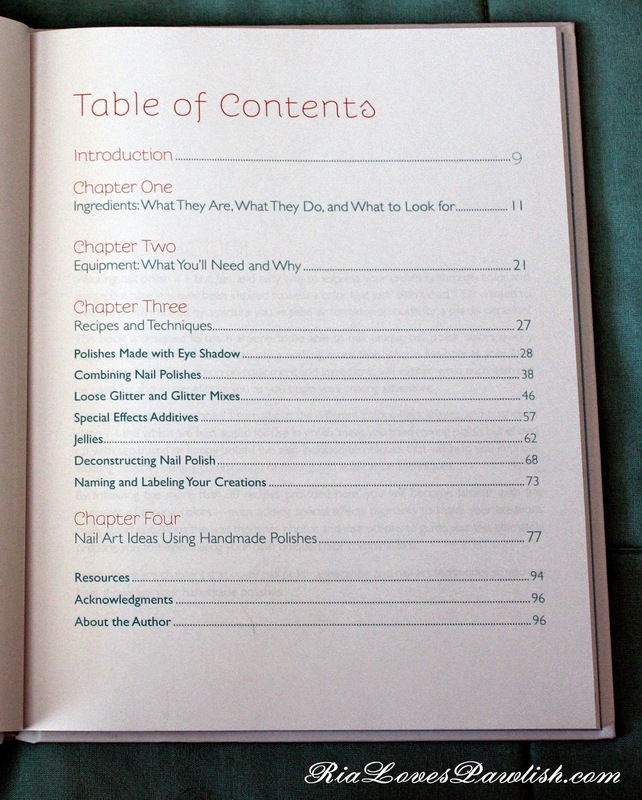 the table of contents gives you a great idea of what's in the book... from everything you'll need to make the polish to what you can do with it once you've made it! i love that she adds photos of things you'll need... it makes it so much easier to find things in stores when you have an idea of what exactly it will look like! 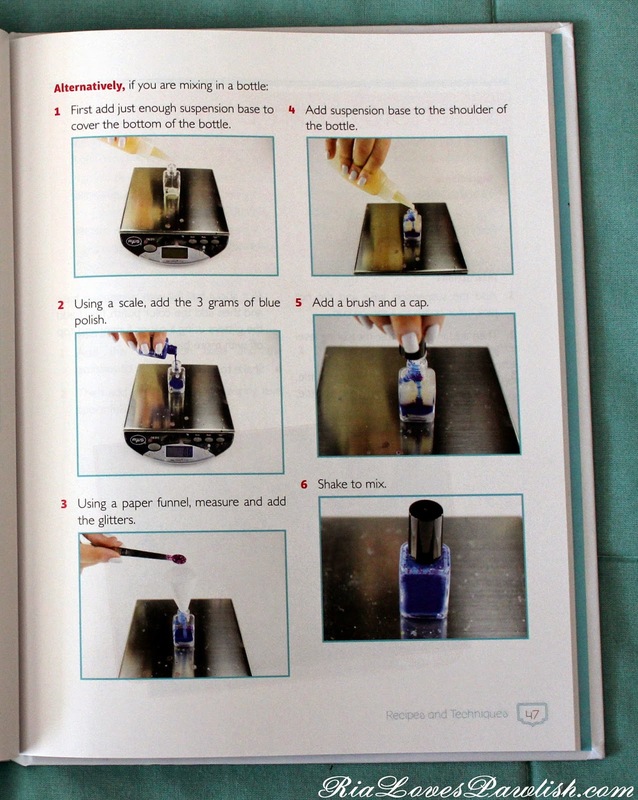 the step-by-step instructions are made even easier to understand by the pictures illustrating each step. 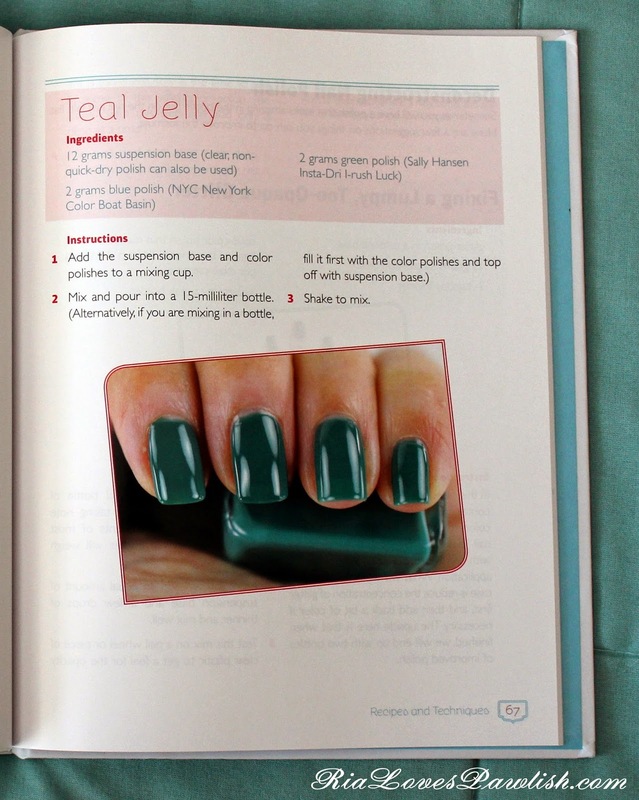 for specific colors, all the ingredients you'll need are listed, followed by detailed instructions! her idea of harvesting glitter from existing polishes is brilliant! 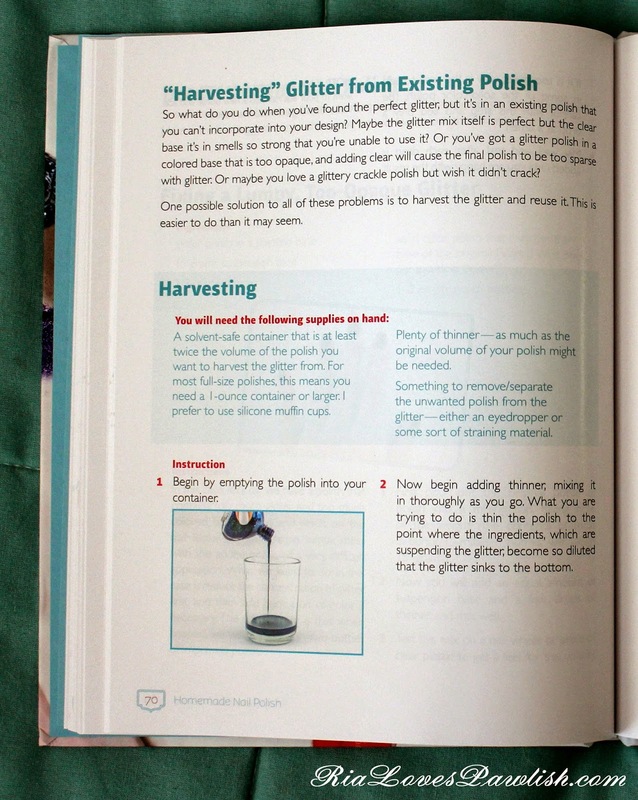 i love innovative ideas such as this... how awesome is it to be able to remove your dream glitter from a dud polish!? love it. 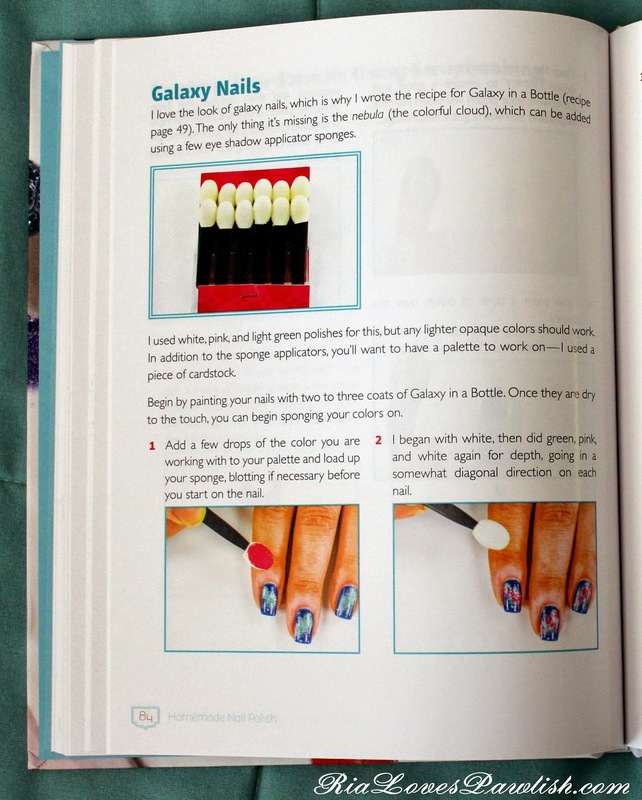 there are also ideas of ways to use the polish once you've made it... great for helping to get your creative juices flowing! 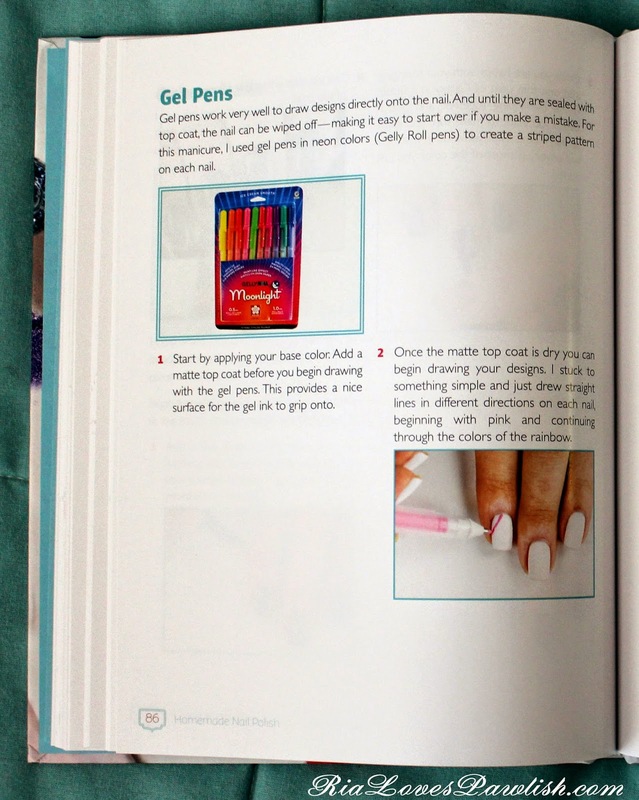 this has to be one of my fave extras... i've never thought of using gel pens on nails. what an amazing idea! Homemade Nail by Allison Rose Spiekermann retails for $16.95. you can currently find it on Amazon.com here for $12.24 for hardcover and only $9.99 for the Kindle edition! 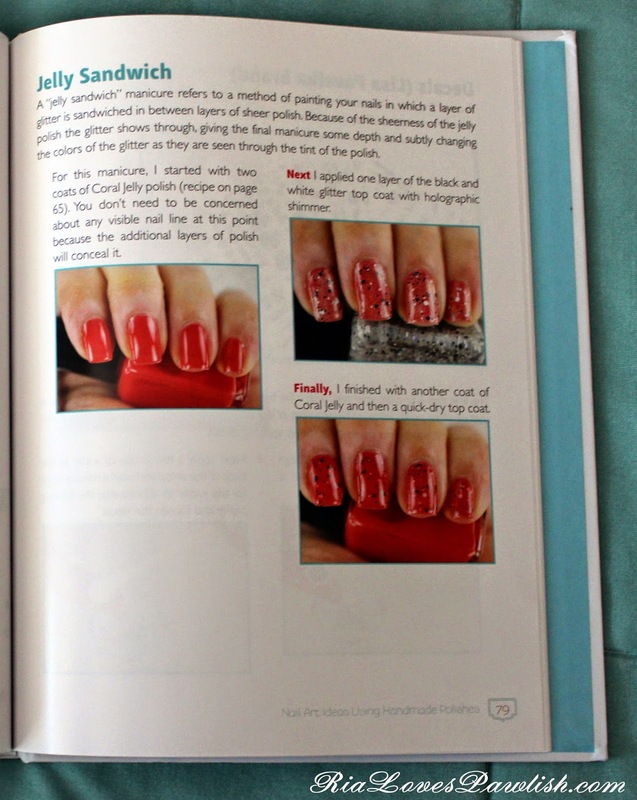 i hope you enjoyed this book review, be sure to keep checking back for the next two... one is on nail designs and the other hairstyles! both are super fun.